Every short-term trader wishes they had a strategy they could rely on for 1-5 trades a week. Well, two of my favorite intraday trade setups I discovered during my 23 years of trading everything from stocks, ETF's, options, currencies, and futures 24 hours a day I am going to be sharing to subscribers of the Wealth Building Newsletter where these strategies and charts update live throughout the trading day for them to follow and trade the signals that are generated. 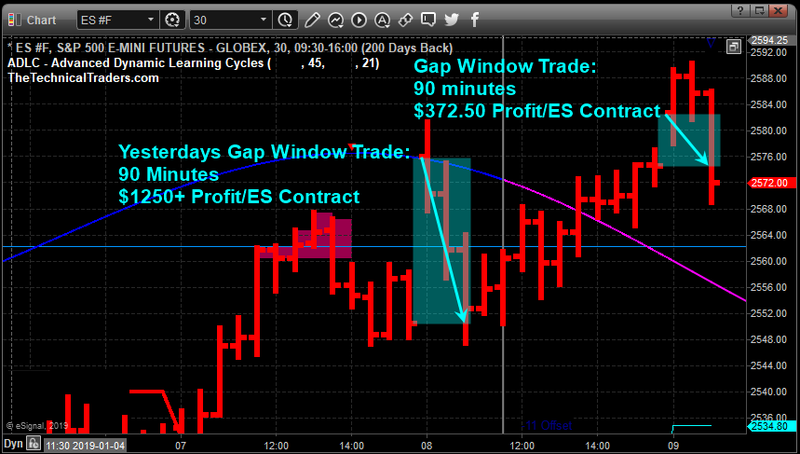 Below is the post I sent to members today after both our gap and spike targets where hit within 2 hours. A very similar setup happened yesterday as well, that's 4 winning trades in two days. The market opened slightly higher today and we expected a pullback to fill the morning gap. Also, we had to small price spikes to the downside adding more confirmation to this. 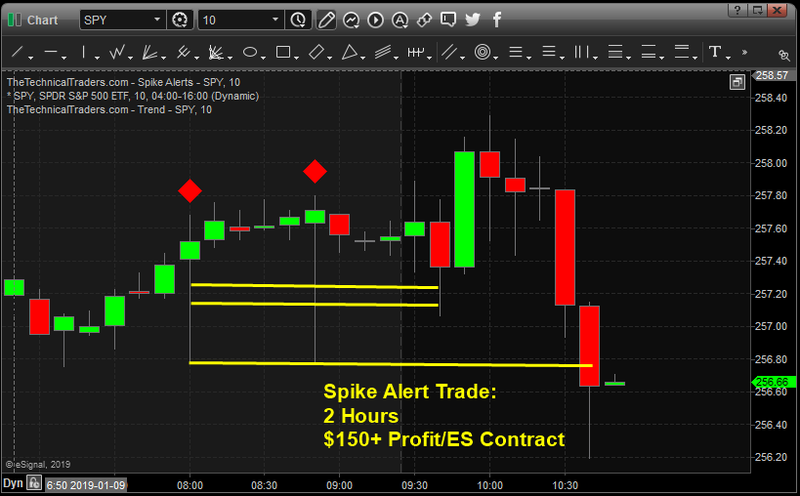 IMPORTANT NOTE: Pre-market trades like these are posted in our morning update and video only. We don’t want to blanket all our longer-term traders with day trades. So if you are an active trader be sure you read our morning update and watch the video with your morning coffee. The morning gap has filled and our spike targets are being reached as well. Keep in mind, these are short-term trade setup which will be implemented into our member’s area in the near future that auto-update and post for those of you who want to take advantage of early day trades and be done by 11 am most trading sessions. Once we have things implemented there will be a detailed PDF on how trading these along with a video. For you longer-term traders we are also working on having our swing trade charts and signal post and update automatically in the member’s area as well. Each trading strategy, chart, and signals will run in a separate member’s area page and you will be able to follow and trade the strategies that fit your personality and trading style. This is going to take us 30-60+ days to get things fully set up and running and it’s going to add a lot of value and opportunities for you - Subscribe Now!